So at first I was really unfamiliar with this site. 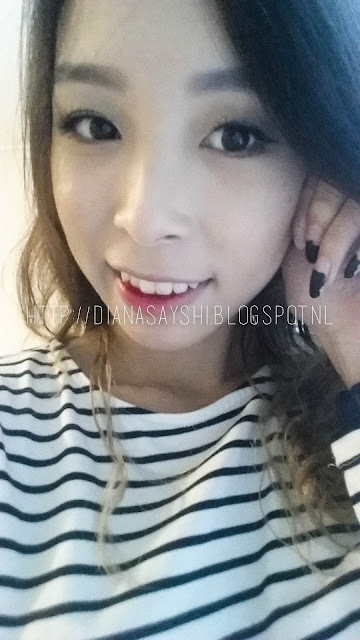 The circle lenses are really cheap compared to other sites, 1 pair = 10 dollar + the shipping was cheap as well. The site looks decent and i've found a few reviews about this site with positive feedback, but they were all sponsored. At this moment I was 90% convinced that the site was not fake. Until I came across a not sponsored review. The review stated the following "The bottles were broken when I got them so I had to ask for new ones but the customer service was so bad. It took forever and they weren't helpful at all." After reading this I was very skeptical but I decided to order anyways because the lenses were legit. So I took a chance with this site and I'm glad I did. 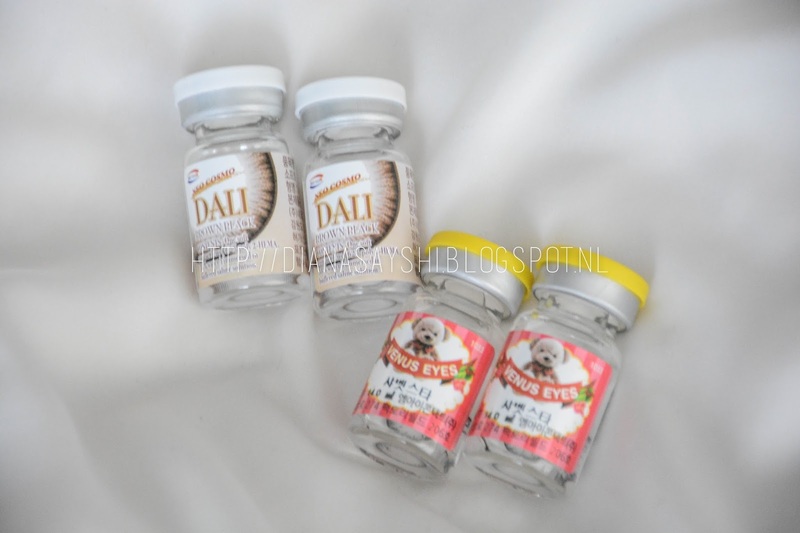 KPOP2 offers Korean based circle lenses, a lot of these lenses are unknown to foreigners but in Korea they are known. They have a decent selection for you to choose from, so there will always be a lens you'll like. Shipping was faster than I excepted, It took about 1-2 weeks and they ship from Korea. When my package came in I was really scared that the bottles were broken but they shipped them very carefully. It was wrapped in 3 layers of bubble paper. I decided to get a lens that looks more natural and matches my eye color. I also didn't want a big enlargement because I find them scary on me. The Neo Vision Dali Brown fits my criteria perfectly. I also decided to pick up the LensMe Shabet Gray. I always wanted gray lenses but I don't want the color to be too intense. I really like the design of these lenses, they give my eyes a starry effect. 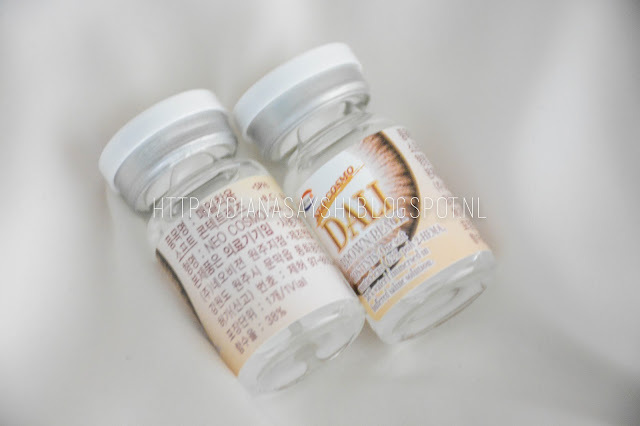 The enlargement of these lenses are really noticeable for my small eyes even tho the graphic diameter is 13.8mm. It has a black border and my own eye color mixes well with the lens design. Overall, these lenses are pretty. The design is enchanting and can be natural in inside light or at nighttime. I already said that the design is really pretty, it reminds me of stars. The color is a gray leaning a bit to blue. It is not a "in your face" color so perfect for a casual now and then change. The transition between my own eye color and the gray of these lenses are pretty good too which makes it more natural. I don't have big eyes so the enlargement works really well for me. The lenses don't look creepy on me which is a major plus. I tend to freak out because most of the time the lenses are way to large for me. The dark ring definitely helps with the enlargement. This lens is a good mix between natural and the enlargement effect. 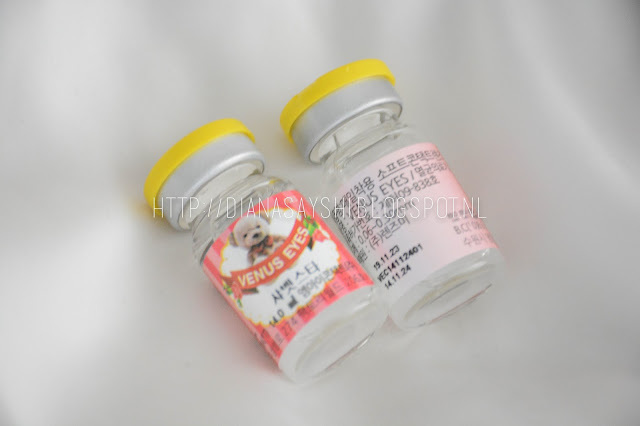 These lenses were designed to blend in with your natural brown eye color giving a slightly enlargement effect. 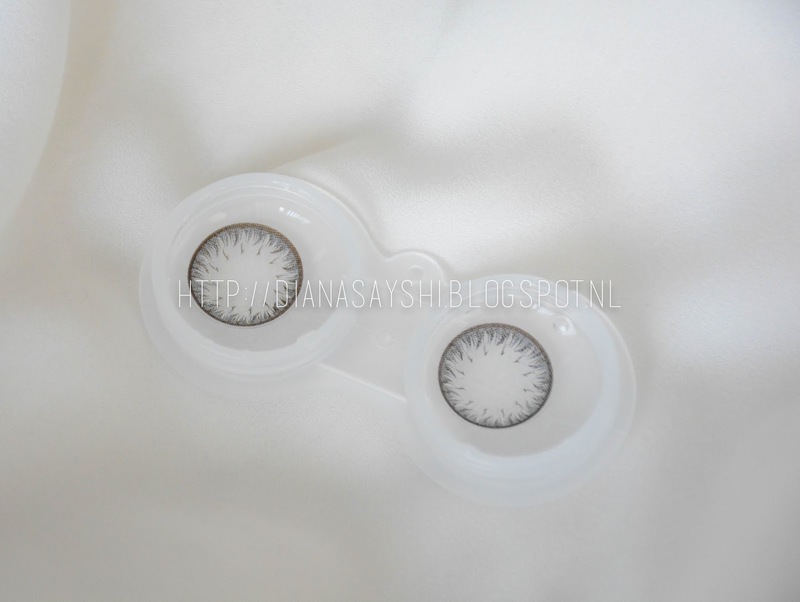 These lenses are really natural for everyday wear and even tho the overall diameter is 14.0mm the graphic diameter is 13.3mm. Since these lenses are really natural I looked at how well they blended in with my natural eye color. And they blend in perfectly! These lenses gives that extra pop to your eyes and isn't focused on the color at all. The only problem I had with these lenses were that they don't sit on my eyes. They tend to slide downwards. The comfort of these lenses are great you won't even feel that they're there. I even had a moment when I was wondering if they are still in my eyes (lol!). I worn them for about 4-5 hours and at the end they did feel a little bit dry. These lenses only have a brown border for a slightly enlargement to your eyes. They are perfect for daily wear and aren't noticeable. For me this enlargement is enough and opens up my eyes a little bit more. My overall opinion is that I'm satisfied with my purchases. The site was quick and easy to use and the lenses were genuine and good. Hope you guys liked this review! I love wearing Dali brown too! I have the daily ones, it's very comfortable for all day long. hi diana! i saw the same negative review you did as well! thanks for your review. i hope mines comes in great condition as well. crossing fingers! i have a question, you say it took 1-2 weeks to receive them, where do you reside? i am in the USA. i need them soon so i hope it's 1-2 weeks as well! look forward to your help and thanks for this review! im not sure how soon i will see your feedback but if you email me i am able to receive it as soon as you send it. im so sorry if this sounds demanding but i am very curious as the site seems somewhat shady and im very skeptical at the moment. i am also in a nick of time because i have a grand event coming up and cannot afford to be blind or with glasses on. i can't wait for your repsonse! Thank yoU! Hi thanks for taking the time to read and comment on my blogpost :)! I've sent you an email with the answer, hope I was helpful.